The designer of Oliver was the Canadian Methodist reverend Thomas Oliver (1852-1909). 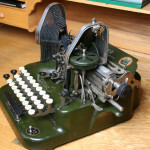 He began to develop his typewriter in 1888 and was awarded his first patent in 1891. 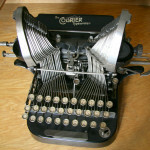 Model 1 was introduced in 1896. The company began operating in 1895. 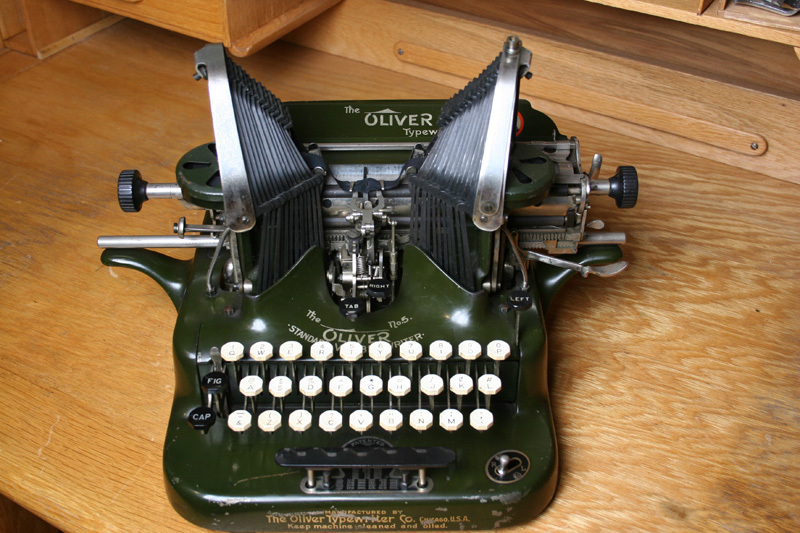 The marketing of the typewriter was different from those of other typewriter companies. 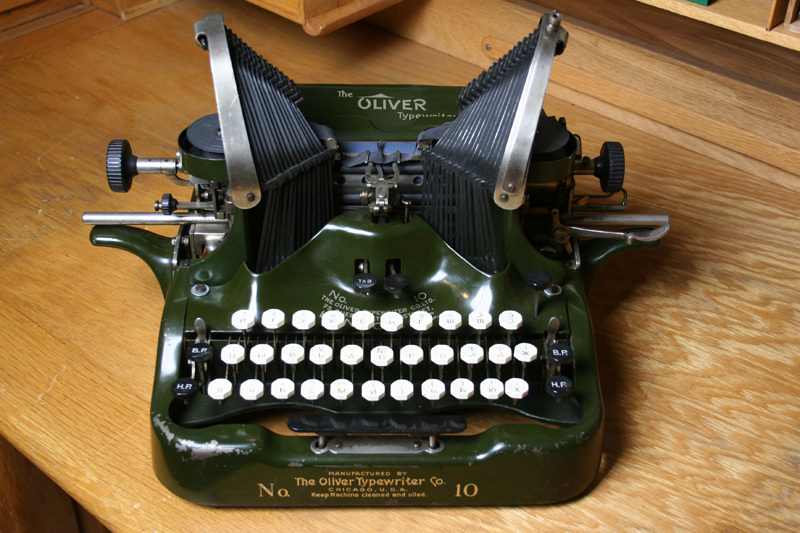 Oliver was heavily marketed for home use and customers were encouraged to become local distributors. Sales were made from door to door. When competition increased the company went over to commissions in order to save cost. 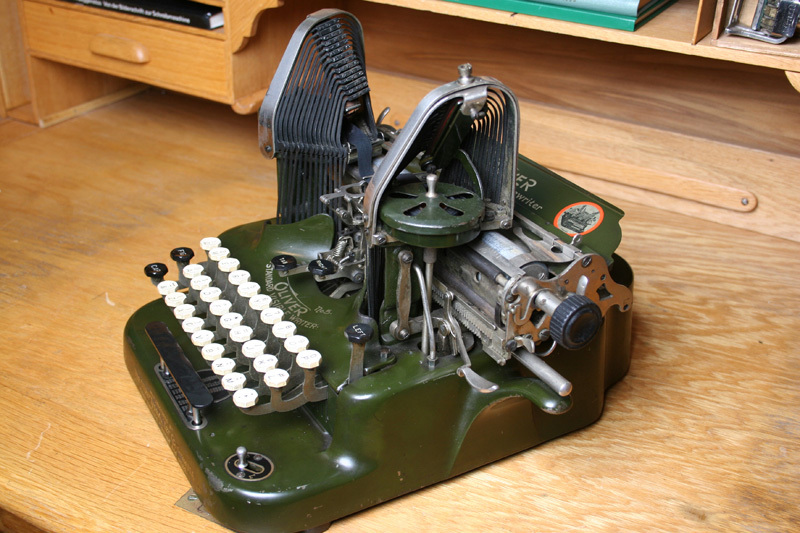 When the company was at its peak, nearly 400 typewriters were produced daily. 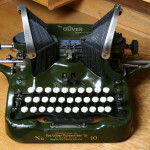 Because Oliver is of unusual design it is popular among collectors. 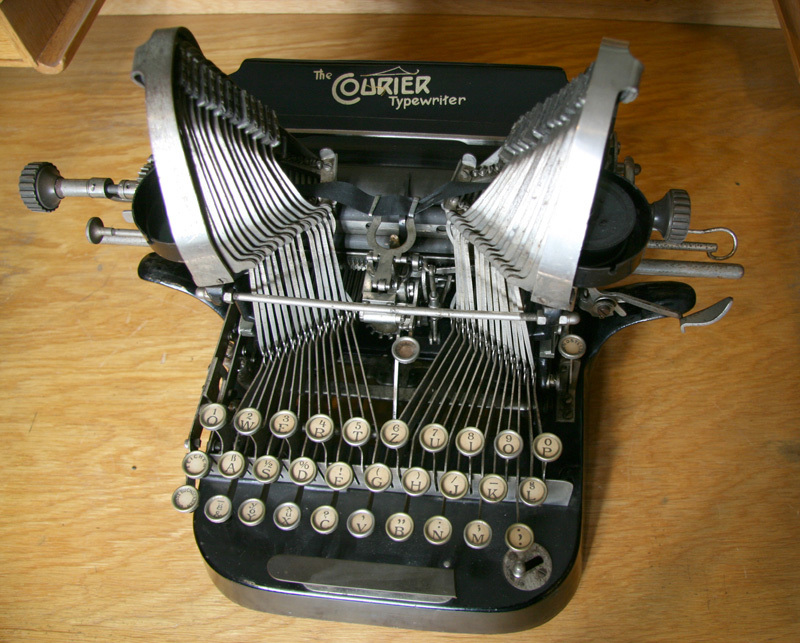 However, it is not rare or especially valuable, because over one million typewriters were produced. Competition and a recession in 1921-1922 caused many customers to default on their payments. In 1926 the board decided to liquidate the company. In 1928 the company was sold to British investors. Production in England ceased in 1959. 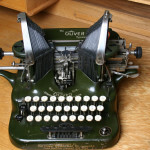 In Austria Oliver was made and marketed under the name Courier in 1903-1919.